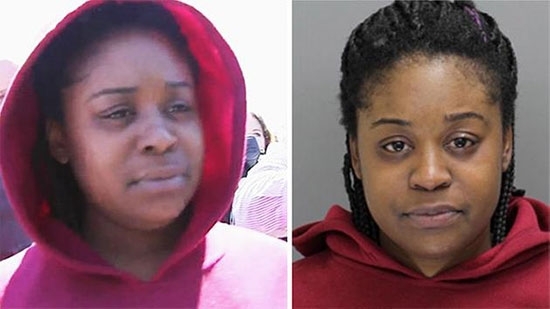 The woman who kidnapped a 7-week-old baby from the King of Prussia mall last year was sentenced today. 33-year-old Cherie Amoore was sentenced to 1 ½ to 7 years in prison. It happened on March 31, 2016 at the food court in the mall. Amoore struck up a conversation with a mother and offered to hold the crying baby. When the mother was distracted by her other child, Amoore took the baby and ran. The baby was recovered that evening at a nearby home after an intense search. She was charged with kidnapping of a minor, unlawful restraint, false imprisonment, interference with the custody of a child, concealment of the whereabouts of a child and other related charges. Former Assistant District Attorney Kelley Hodge was sworn in this morning as Philadelphia's interim DA. She was selected by the Board of Judges to serve after former DA Seth Williams pled guilty to bribery charges. Hodge becomes the first African-American female to serve in the office. Republican Beth Grossman and Democrat Larry Krasner are running for the permanent office. "Thank you for having the confidence in me to lead this office, an office that I have profound admiration and respect for. The Board of Judges have entrusted me with a responsibility that requires diligence, intelligence, patience and most of all humility, and I can assure you that I will work every day, as I have for my 20 years as an attorney and advocate, to deliver just that to the citizens of Philadelphia," said Hodge. A parking lot fight among teenagers in Delaware County escalated when one got behind the wheel and ran over a group of students. It happened around 9 p.m. on July 12th in a parking lot next to Ridley High School. There was an altercation between Ridley students and rivals from another school district. A 17-year-old driver in a SUV drove into a group of Ridley students, completely running over a 15-year-old. Amazingly, the 15-year-old was treated and released from the hospital with only bruises and abrasions. He was back playing on his sports team right away. The 17-year-old driver turned himself in the next day and has been charged as a juvenile. The incident was captured on video.